1st of January 2016 marked more than the start of a new year. At Belong, it was the start of a tradition. The week preceding new years’, each of us wrote our resolutions in sticky notes and put it in a box. On new year’s eve, the resolutions were read out to everyone and stuck on a white board which now sits undisturbed in the pantry. The point was simple - we now have a good 70 people who’d hold us accountable for what we promised ourselves while the board reminds us of the same, every day. Interestingly, over 90% of the resolutions had one thing in common - to read more this year. To help team Belong achieve that, we started to put together a reading list, with recommendations from some of the foremost HR leaders. So of course we have to share that with you! Presenting the what-to-read list from the who’s who of the HR community, and their reasons for recommending each book. Anne-Marie Slaughter takes a cheeky jibe saying “If you lean in too much you will tip over”, setting the tone for this very thought-provoking book. Unfinished Business examines arguments that assume that if you focus on life beyond work, that is evidence that you are not committed enough. The solution it proposes a focus on redesigning the work and workplace norms, and take it beyond gender. HR is at crossroads and we have to reinvent ourselves in a big way. This takes courage, conviction and the ability to move forward despite any setbacks. This will help HR folks connect with the mindset that is necessary to be the disruptors they need to be. If HR leaders have to progress from adding value to creating value in their organizations and businesses, they need to learn the art and science of value creation. This book will help you understand the what, why and how of that value creation process. 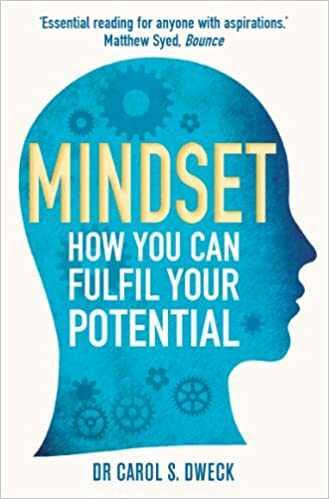 Dweck’s extensive research captured in the book leads to a better comprehension of the importance that a person's mindset has in life and in success. People with a fixed mindset constantly struggle to recover from failures. On the other hand, there are the people with the growth mindset who look at life as an opportunity to learn. The author focuses on how coaches (teachers, managers or parents) can teach a growth mindset to learners and create motivation and productivity in the worlds of business, education, and sports. Execution talks about the fundamental truths of management with no sugar-coating. It focuses on discipline and processes, the boring parts that could mean life or death in an organization. As a leader, there will always be a thousand things clamouring for your attention. It is important not to chase every new thing but to choose a few things and do them really well. And this excellent treatise on execution delivers. This book is for anybody looking for meaning in what they do. It is a collection of my thoughts on life and work is aimed at making you ponder on the big and only question that matters - why? This book breaks down the most simplistic format of having a design centric approach to fulfilling every need of a human - be it a response, program or a product. Tim explains the significance of a human-centered-design process as an approach to innovation and directs us to use the tools of insight, observation and empathy' to achieve this. As HR leaders, we deal with human behaviours and responses everyday and it is absolutely relevant to align the 'principles of design' thinking to engineer good user experiences. Change by Design, is to me the secret behind everything we attempt to do, it's just that the thought-action-behavior have to be aligned.